Scientists have long spoken about the possibility of using the natural spin of electrons as digital storage—but it's never been a reality because of the transient nature of the effect. Now, though, IBM researchers have found a way to keep the effect alive long enough for it to actually be useful. Known as spintronics, the area of research relies on using the spin of electrons within a magnetic field—referred to as "up" or" down"—to read and write back bits of data on semiconductors. The problem is that, until now, electrons have only held an up or down orientation for 100 picoseconds—and that's just not long enough for the effect to be useful in a practical sense. The IBM researchers, however, have managed to extend that lifetime by a factor of 30, allowing the particles to hold their spin for 1.1 nanoseconds, the time it takes for a 1 GHz processor to cycle. Now we're talking: that make it possible for the property to be used by a normal computer. 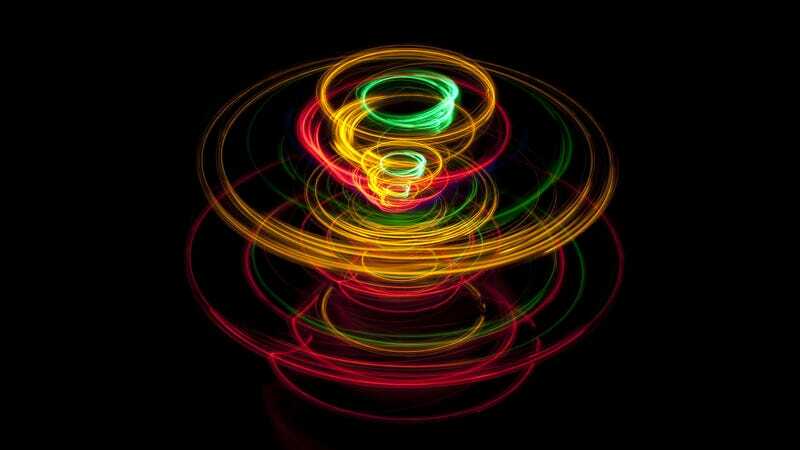 The idea of keeping the spin going for long enough has been floating around since 2003, but it's only just been put into practice, by developing a method which allows the spins of electrons to be neatly organized into regular stripe-like patterns. The results are due to be published in Nature this week, reports Network World. The results may sound like nebulous scientific research, but they could lead to faster, more efficient memory, which would use considerably less power than today's NAND flash devices.